The £100m investment in the De Vere portfolio places the Mansion Houses back to the heart of the properties, to create Country Estate Hotels where traditional values meet the latest luxuries. The proud British heritage of each property is evident in its history; each hotel has its own unique story to tell. De Vere Latimer Estate’s past is a tale of secrecy. During the Second World War, Latimer House became the centre of highly top secret activities run by MI5 and MI6 under the obscure name Combined Services Detailed Interrogation Unit (CSDIC). During this period, the unit bugged the conversations of over 10,000 German prisoners-of-war, all recorded in 100,000 transcripts that still survive in the National Archives. The prisoners had no idea they were being recorded and gave away information and secrets about Germany’s plans, aiding Britain to win the war. A little earlier, in the 17th century, the original house was where Charles I was imprisoned, and where his son, Charles II, took refuge before fleeing to mainland Europe in 1651, after he was defeated by Oliver Cromwell. 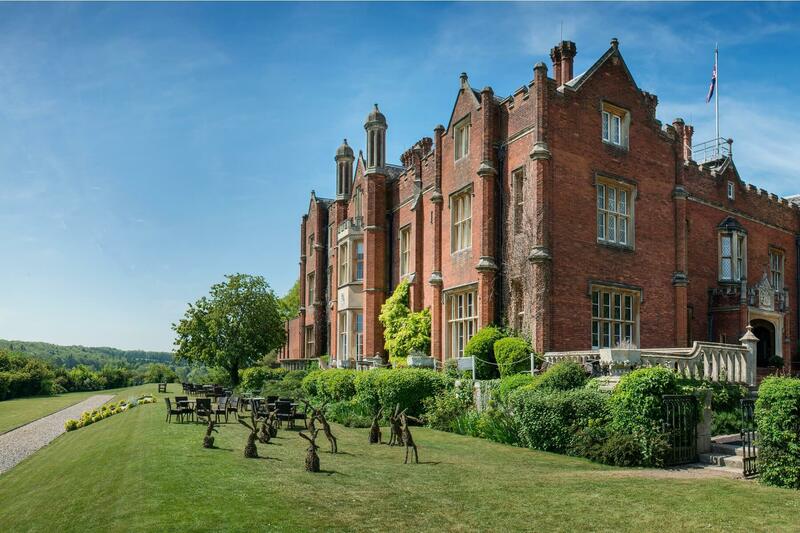 Currently undergoing a phased sympathetic refurbishment, De Vere Latimer Estate retains many of its original features and, when it relaunches next year, promises guests flexible conference rooms and event spaces as well as well-appointed bedrooms. Guests will experience the charm of an historic venue along with modern conveniences like intelligent lighting and super-fast wifi. King James I once called The Palace of Theobalds, now De Vere Theobalds Estate, his favourite country seat; he eventually died within its walls in March 1625. Now the property houses 140 bedrooms and 29 meeting rooms and is a popular location for the conference, event and wedding markets. Investing in these historic Mansion Houses, making the most of both the interior and exterior space, whilst preserving the stories they tell, turns a visit to any De Vere Country Estate into an experience.